Looking for a new Jaguar for sale near Rumson? 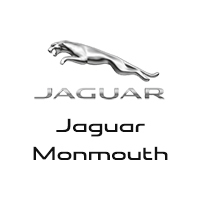 With a wide variety of new Jaguar models in stock, Jaguar Monmouth has you covered. Choose from capable new Jaguar SUVs like the fuel-efficient E-PACE or the powerful new 380-hp F-PACE. Colts Neck drivers looking for the ultimate in luxury and performance will appreciate the new Jaguar XJ sedan. And with our latest Jaguar lease specials, it’s never been easier to get behind the wheel of the car of your dreams. With so many new vehicles in stock, we’re sure to have one that suits your needs. Browse our inventory to discover the perfect new car or SUV for you. Once you’ve browsed our inventory of new cars and SUVs for sale, it’s time to experience the thrill of driving a Jaguar for yourself by taking a test drive. Contact us today to schedule your visit to our showroom in Ocean near Point Pleasant.